I know that MMORPGs are essentially big time sinks, but Square Enix has found a way to make its excellent Final Fantasy XIV: A Realm Reborn even more so with some classic mini-games from the franchise's highly celebrated PlayStation-era. Triple Triad and Chocobo racing are coming to its newest MMORPG to majorly distract you from the overarching story at hand! Both are being added to Final Fantasy XIV: A Realm Reborn's brand new Golden Saucer, named after the popular playground in Final Fantasy VII, as confirmed in a Q&A from the game's producer. No additional fees are necessary to access them either! Oh Square Enix, why you gotta do that? 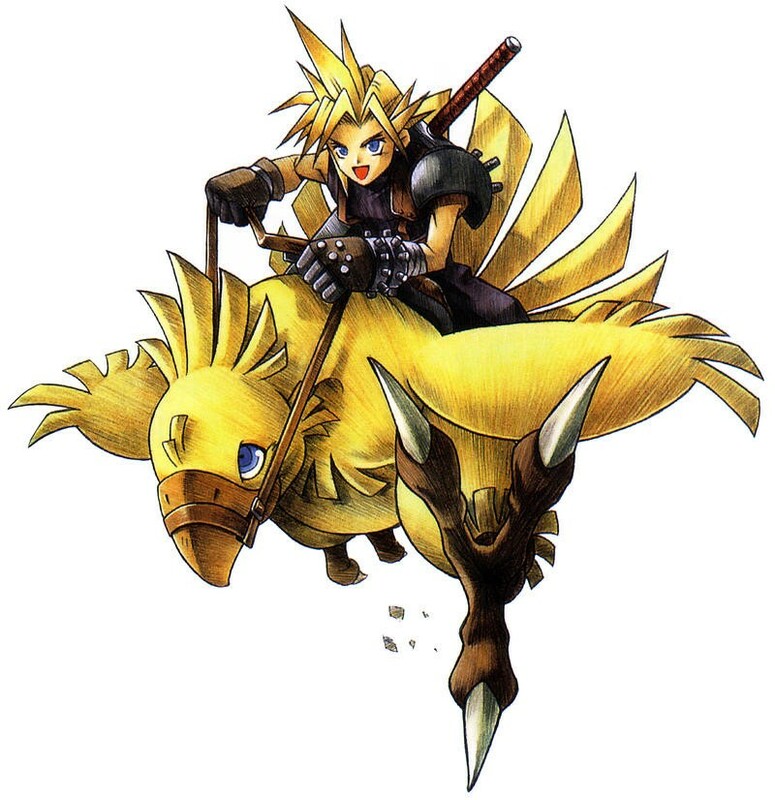 For those who don't remember, Chocobo racing was added to Final Fantasy VII as a fun little extra mini-game, allowing you to capture the giant yellow birds and race them against opponents. Birds could gain ranks through victory, and ultimately, stronger birds could give birth to colored Chocobos with special powers like running over mountains and water. Everyone knows that it is the only way to uncover the game-breaking Knights of the Round summon, but it could only be done once a Meteor hung threateningly over the world. "Hey Cloud! Stop wasting time racing birds and go take out that homicidal maniac threatening all life on Earth, please!" As for Triple Triad, this was the addicting card game introduced in Final Fantasy VIII and Final Fantasy IX. It has been a popular hit ever since, and I can remember plenty of instances in both games where my progress came to a complete stand-still because I just refused to continue the plot until I had every card available. Both games have been a staple of the franchise ever since, popping up in other games as well. Just like Final Fantasy VII's Golden Saucer area, other mini-games will be available as well. I swear, if I had more free-time, I would love nothing more than to sink my life into A Realm Reborn. Sorry Square Enix, but I just don't have the wiggle room these days.